This issue features 130 logic puzzles in a wide range of designs and sizes, from 5×5 right up to larger than 30×30. 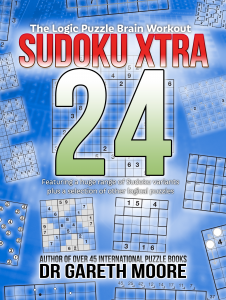 Puzzle types include Yajilin, Heyawake, Nurikabe, Masyu and more of the Windows puzzles introduced in the previous issue, plus an enormous range of different Sudoku variants including many seen on this blog. 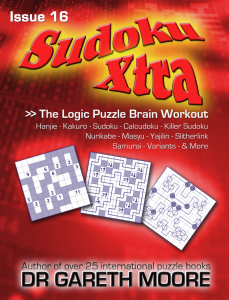 There’s also a packed Community Puzzles Section featuring content from the world’s best puzzle authors, such as David Millar’s awe-inspiring Knighted Samurai Shape Sudoku through to more of Vexus Puzzle’s delightful route-finding Tiktaka. 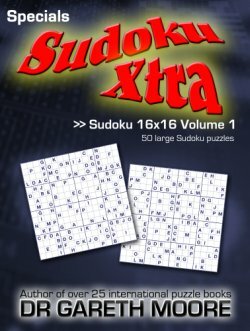 Sudoku Xtra 16 and Sudoku Xtra 17 have also been published since I last updated this blog, so head over to the Sudoku Xtra magazines page for more details. 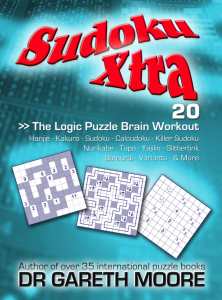 You can also view a full list of the contents of each magazine on the Sudoku Xtra site. 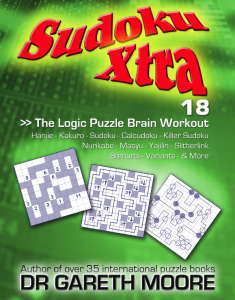 I’m very pleased to announce that issue 5 of Sudoku Xtra magazine is now available for download or in pre-printed form from either Amazon.com (US) or Lulu.com (recommended for rest of world). This issue has even more puzzles than the previous ones, with a pretty mind-boggling 131 separate logic and number puzzles! -4 -3 -2 -1 0 1 2 3 4 Killer Sudoku! As always, it’s designed to print well in black and white on either A4 or Letter paper, using up most of the space and without pointlessly wasting ink on large dark areas. If you have a colour printer there’s a small colour trim to each issue – this month’s is orange – but this prints fine as a greyscale. Pre-printed copies have a colour cover but black and white interior. 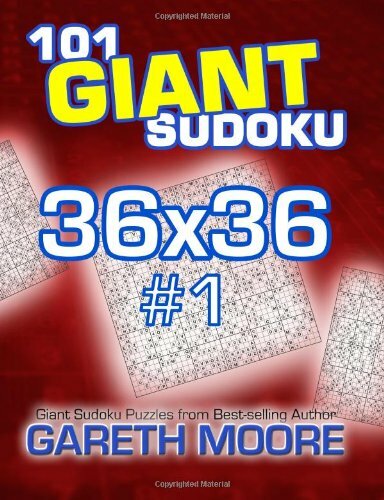 I’ve had many, many, many requests over the past years for a book of giant 25×25 Sudoku puzzles, so I have now finally made just such a book available! 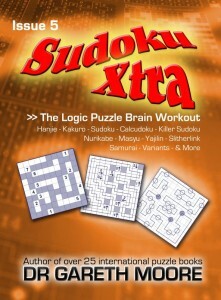 Right at the moment it’s only available in printed form, but I’ll have download copies available in the next couple of days – as soon as I’ve added a purchase mechanism to SudokuXtra.com in fact! 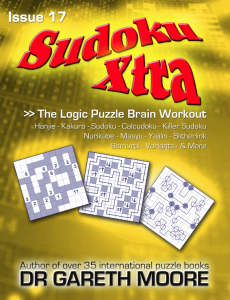 I’ve decided that I’m going to make a series of similar books of particular requested puzzles, all of which will be branded as “Sudoku Xtra Specials”. In this way I can stay organised by keeping all of my download/printed content under the ‘Sudoku Xtra’ heading. It means that you’ll always be able to find all of my new content in one place, without searching around my various sites. 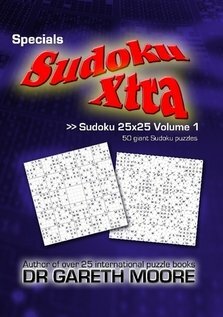 This book is probably the nicest collection of 25×25 puzzles you can find, if you’re a fan of such things. Every puzzle has really nice 8-way symmetry – having noticeable patterns in puzzles like this is pretty unusual, and it can help with the solve too. Just as in my magazines, I’ve thought about what’s sensible in a puzzle like this so they can all be solved without needing pencilmarks. How exactly would you go about making A-Y pencilmarks in each individual square anyway?! If you get hold of it please do let me know any thoughts you have on it. In the same way as for Sudoku Xtra magazine, it’s designed to be printed at home on either an all-together or a page-by-page basis. And if you get a pre-printed version from Lulu or Amazon.com (already complete but waiting on listing now) then it’s on a large A4 (Lulu) or 8″x10″ (Amazon) page, so there’s plenty of room to write in the solutions. If there are other books of puzzles you’d like to see, please let me know in the comments here or on the Sudoku Xtra forums – feel free to repeat any requests you’ve made before! Next up is 16×16 Sudoku but after that it’s all open. I was thinking of doing Inequality Sudoku third, but what do you think? 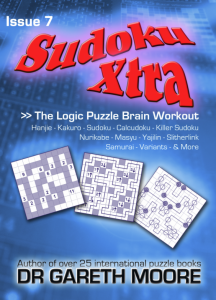 I was interested to spot that Barnes & Noble (in the US) are now selling one of my self-published books – Killer Sudoku: 100 easy to hard puzzles and how to solve them. So if you’re in the US and fancy getting hold of a copy (they get really hard by the end!) then there’s now another way to buy it. You even get 10% off if you’re a member.